Mercy staff and residents buzzed with excitement on Friday, April 28th as the Watoto Children’s Choir prepared to perform at the Nashville home. The choir is currently traveling the United States on their Signs and Wonders tour and spent the morning in Nashville performing. The Watoto Children’s Choir was birthed out of Watoto Church, founded by Gary and Marilyn Skinner. Watato Church is a community-focused church planted in Kampala, Uganda in 1984. The Skinners planted villages of orphanages all over the country as well as Christian schools, children’s hospitals, baby hospitals, and more. In 1994, the Watoto Child Care Ministries was born to give orphans and widows a chance to be a family. 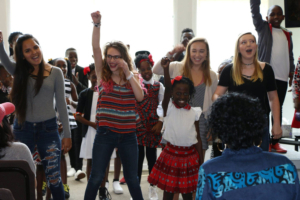 The Watoto Children’s Choir has toured six continents, sharing a message of hope for Africa’s orphans and widows. They perform in schools, retirement homes, churches, and more. Children in the choir have experienced loss of a parent, or both, and now live in the Watoto village. The choir casts vision and mission by sharing personal stories, music, and dance. The children are advocates for millions of other African children who have experienced suffering. Sharing their testimonies helps develop confidence and boldness. 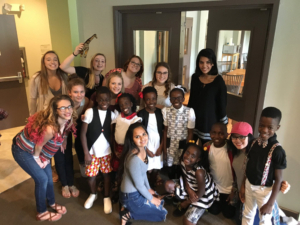 The Mercy residents were thrilled to see the choir perform. The choir first greeted the audience, then began singing and dancing. The Watoto children especially energized the room when they had the audience stand up and dance as well. During one of the songs, three Mercy staff members and three Mercy residents were directed to observe the Watoto dance moves and then perform those moves. The residents were elated watching their performance and even danced in their seats! 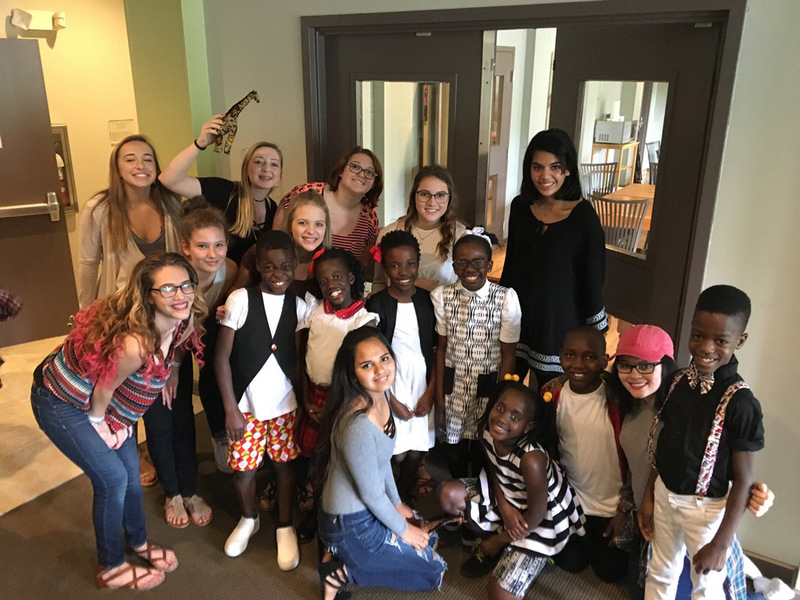 After the performance, the residents jumped at the opportunity to meet the children and take pictures with them. Mercy Multiplied’s Founder and President, Nancy Alcorn, also enjoyed watching the performance. Watoto and the Skinners have a special place in Nancy’s heart. 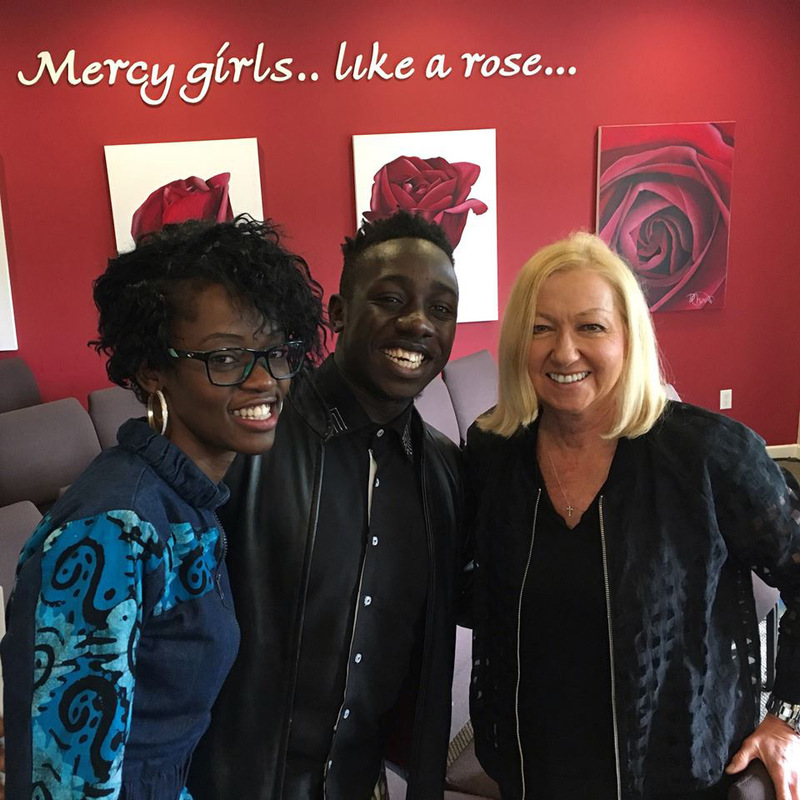 Mercy Multiplied sponsors 80 children through the Watoto Child Sponsorship Program. There was a special moment during the performance when Eunice, an adult supervisor with the Watoto Choir, shared that she herself was a Watoto child who Mercy had sponsored. Both Mercy Multiplied and Watoto offer opportunities for sponsorship. To learn more about Watoto, click here. To learn more about Mercy sponsorships, click here.